If you are looking for a professional, reliable piano removals team, look no further than the experts at Edwards Removals. We have been conducting superior standard piano moves for two decades and, over this time, have established ourselves as one of the UK’s most prestigious removal companies. Our specialist movers are able to manoeuvre a piano out of any room, no matter what its size or shape, making sure neither the piano nor your property is damaged. 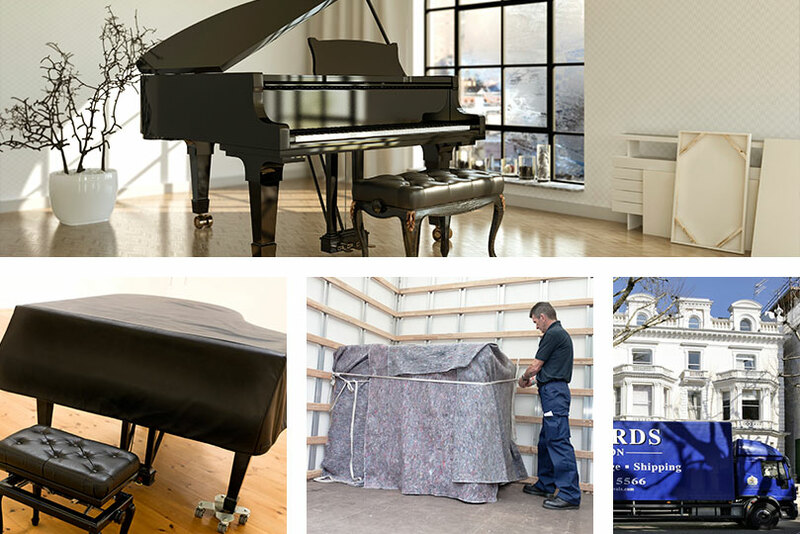 Our wealth of experience means we have developed flawless methods of moving delicate items safely and securely, ensuring a simple, stress-free process and a piano delivered to its destination in perfect condition. The high class service we offer includes a complete packing provision, making sure your piano is as protected as possible, as well as the option of a personal assistant to take care of every aspect of the move. So for more information about our luxury piano removals service, contact Edwards Removals today. Our specialist movers are able to manoeuvre a piano out of any room, no matter what its size or shape.